This year we’ve seen a couple of rides that could easily break the 300Km/h limit, however, a few of them were merely concepts or modified production vehicles. 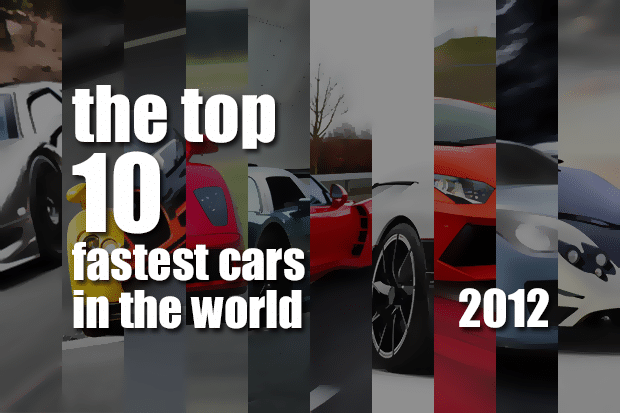 What follows is a list of 10 fastest production cars of 2012. Why is the Bugatti on 1st place again? It’s the only one that’s been known to actually reach that speed. Boasting a mighty 8.0-liter W16 Engine that generates 1200 HP(880kW). 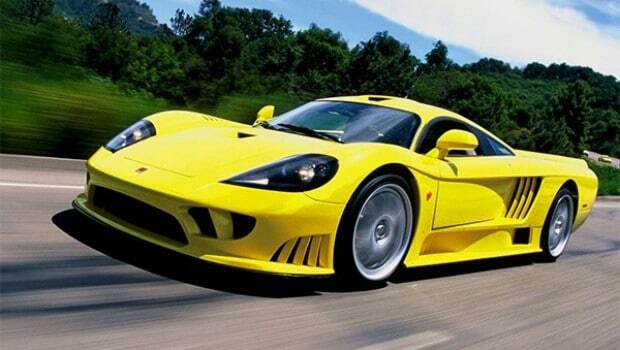 With a base price of around $2,400,000 it also makes you the owner of the fastest car in the world. 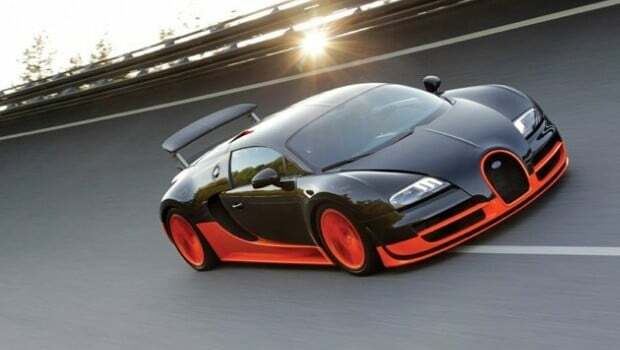 The Bugatti Veyron Super Sport took back the title of the world’s fastest car which had been lost in 2007 to the SSC Ultimate Aero TT. Bugatti’s official test driver Pierre Henri Raphanel drove the Super Sport version of the Veyron on Volkswagen’s Ehra-Lessien high-speed test track and managed to achieve a top speed of 434.20 km/h (269.80 mph). The SSC Ultimate Aero is an American-built mid-engine sports car, built by SSC North America (formerly known as Shelby SuperCars). Under the bonnet it has a 6.9 liter Twin-Turbo V8 Engine that generates a whopping 1,300 HP (969kW) and 1,360Nm of torque. 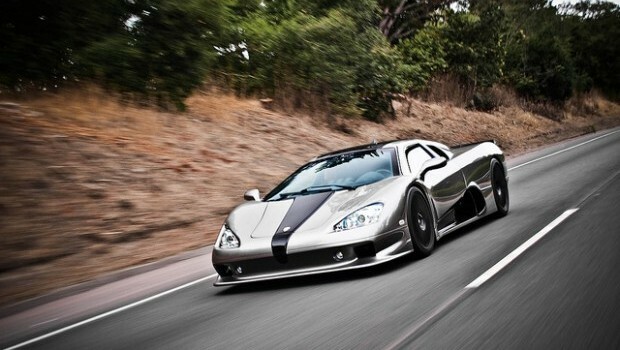 Costing around $654,400, the SSC Ultimate Aero TT was the fastest car in the world from March 2007 to July 2010 (tested in March 2007 by Guinness World Records). The 2012 Ultimate Aero XT is a limited edition model built to celebrate the end of the production run. Only five units of the XT will be built. 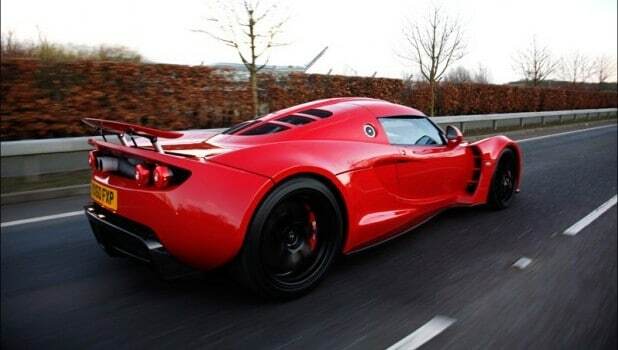 The Hennessey Venom GT is manufactured by Hennessey Performance Engineering. It has a 7.0-liter LS7 Twin-Turbocharged V8 Engine producing 1200 HP (890kW). It has a price tag of around $1,000,000 and even though the numbers haven’t been tested and proven yet, Hennessey has a history of delivering on crazy promises. 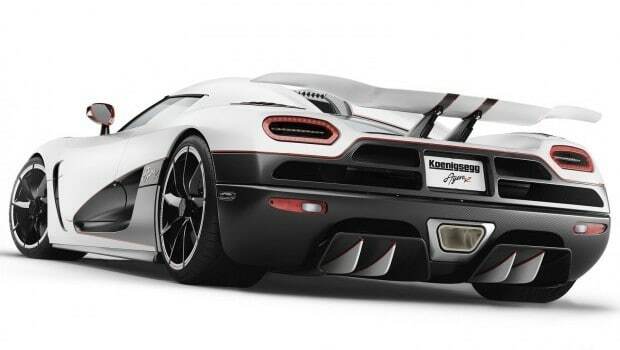 The Koenigsegg Agera R is a mid-engined sports car built by Swedish car manufacturer Koenigsegg. Under the bonnet it boasts a twin-turbo 5.0-liter V8 Engine that generates 1115 HP (820kW). The base price on this ride goes up to $1,600,000. Even though the Agera R has a massive theoretical top speed, the current tested top speed is 260 mph. The Saleen S7 Twin-Turbo CP is a limited-production, hand-built, high-performance American supercar, assembled in Irvine, California. It boasts a Twin Turbo All Aluminum 7.0 liter V8 Engine that outputs 1000 HP (746kW) and 949Nm of torque. The base price on this baby is $555,000. 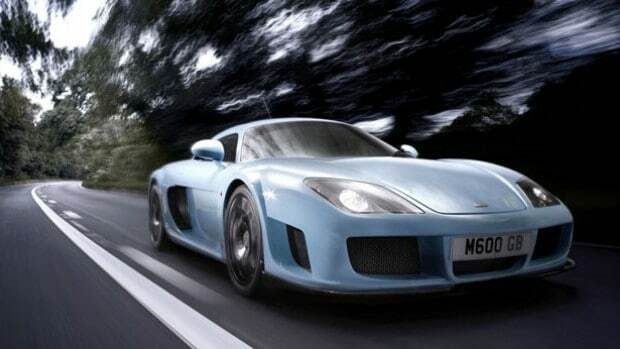 The Noble M600 is a handbuilt British supercar made by Noble Automotive in Leicestershire. It’s powered by a twin-turbo 4.4-liter V8 Engine with 650 HP (485kW). 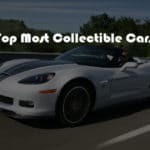 The vehicle is priced around $330,000. 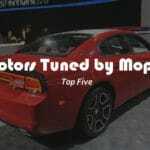 The Noble M600 has been featured on the American adaptation of Top Gear, where it reached 346Km/h (215mph) but stopped because it ran out of space on the runway it was being tested on. The Gumpert Apollo is a sports car produced by German automaker Gumpert Sportwagenmanufaktur GmbH in Altenburg. Under the bonnet it has a 4.2 liter V8 Engine that generates 650 HP (478 kW). The base price of this vehicle is $450,000 and Gumpert says that the design of the Apollo allows it to drive upside-down in a tunnel with speeds at 190 mph or above. This hasn’t been tested yet. 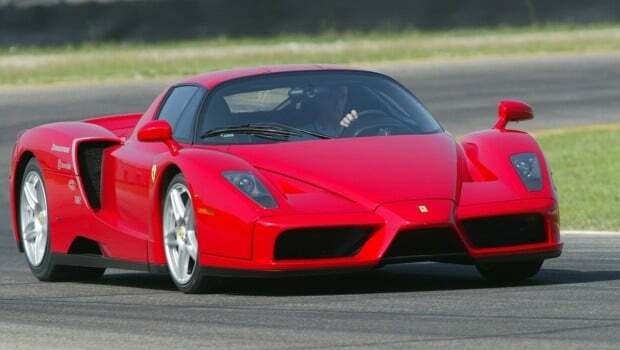 The Ferrari Enzo has been named after the company’s founder, Enzo Ferrari. Under the bonnet it has a 6.0 liter, type F140B Aluminum V12 Engine with 660 HP (485 kW). The base price of this ride is $670,000. Only 399 units were ever produced. Notably, the price goes up every time someone crashes. 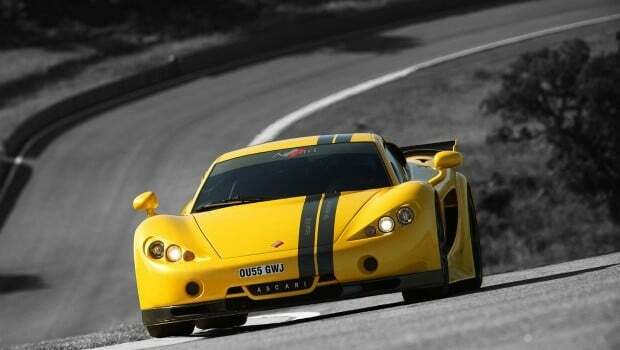 The Ascari A10 is a vehicle produced by the British company Ascari Cars in Banbury, England. Designed by Dutch millionaire Klaas Zwart, the ride boasts a 5.0 litre BMW V8 S62 Engine with 625 HP (466kW). The price tag on this baby? $650,000. Only 50 of these supercars are expected to be built. The Lamborghini Aventador LP 700–4 is a two-door, two-seater sports car that was designed to replace the ten-year-old Murciélago. It’s powered by a V12 engine with 700 HP (510 KW) and 690Nm of torque. 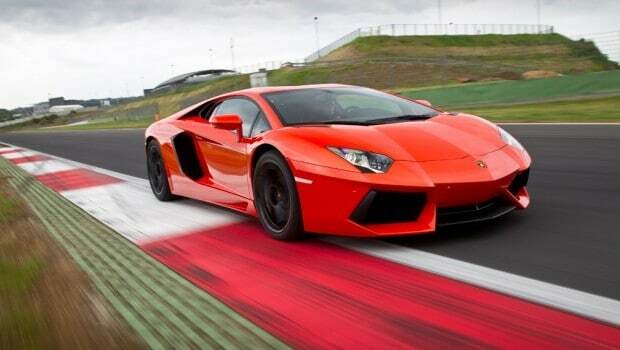 The car costs around $379,700 and according to Lamborghini, “Aventador” is the name of a Bull that entered into battle at the Saragossa Arena on October 1993. Production will be limited to 4,000 units. The Pagani Zonda is a sports car built by the Italian manufacturer Pagani. It features a twin turbocharged AMG V12 engine that outputs 678 HP (499kW). The starting price is $1,850,000. 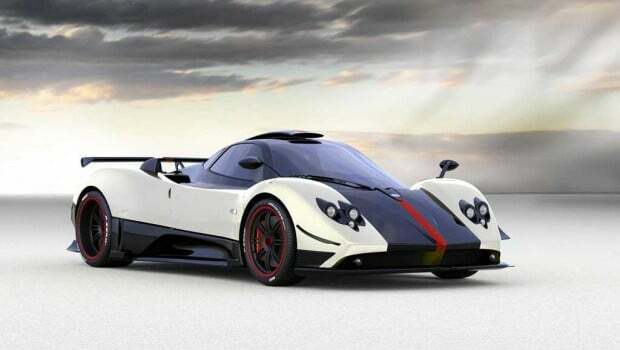 The Pagani Zonda Cinque Roadster is a very limited-edition vehicle, with only five units ever produced.